An alternative to a traditional tiered cake is to present your guests with an individual small cake of their own. We offer a variety of designs and fillings including milk, dark or white chocolate wraps filled with either chocolate sponge and rich chocolate truffle or plain sponge and fresh cream mousse. These individual cakes are often decorated with chocolate ruffles and fruit. Individual portions of cake (fruit, plain or chocolate sponge) iced and decorated to compliment your wedding colour scheme or theme also offer another alternative. We often make a larger version of the chosen design for the top of the display to enable the Bride & Groom to follow tradition and ‘cut’ the cake. 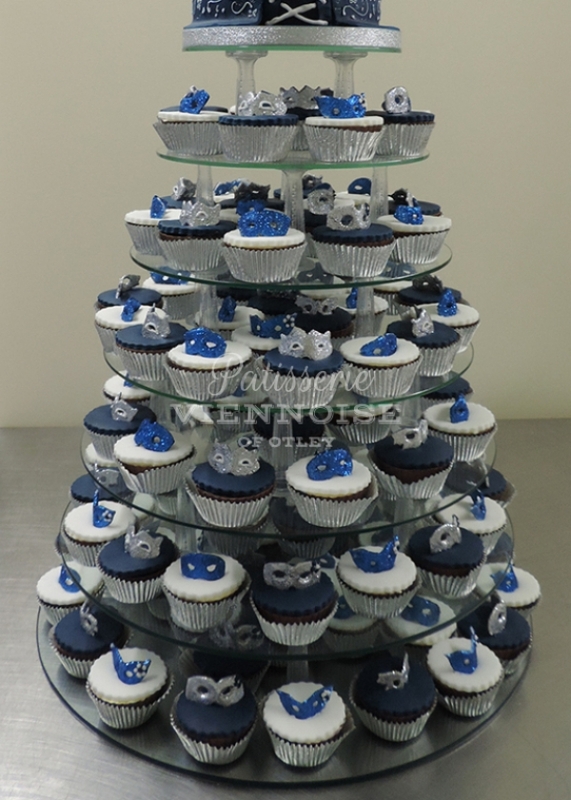 The cakes are usually displayed on our glass plate stand which is available to hire.